Call us today for more information about our Asian Buffet! When you are hungry and craving cuisine from a quality Chinese Restaurant & Sushi Bar, look no further! 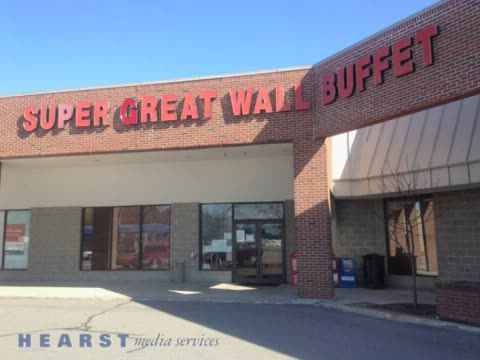 Super Great Wall Buffet has proudly served the South Portland & Portland, ME area for 16 years. Stop by our Chinese restaurant today, you won't be disappointed! along with all of your favorite traditional Chinese dishes. Located in the heart of South Portland, ME, Super Great Wall Buffet has been #1 in serving the community and tourists alike for 16 years. Even if you’ve never explored authentic Chinese food, you should definitely join us at our Chinese restaurant to enjoy the best of this Asian cuisine. Our Chinese buffet includes a wide range of delicious traditional Chinese dishes best enjoyed in the company of family and friends. After just one bite, you’ll see why we are the best Chinese restaurant in Portland, ME and the surrounding areas. If you truly wish to enjoy delicious Chinese food, visit us! It can be hard to find a Chinese restaurant that offers a high quality food selection that is varied enough to please even the pickiest eaters. Our Chinese restaurant offers the very best Chinese, Japanese, and traditional Asian cuisine around. Our dishes include a fresh Sushi bar, a delightful Hibachi Grill, Salads, Crab Legs, all sorts of Seafood and more! Our Chinese Buffet offers a wide selection of food at convenient and affordable prices. Our buffet runs at a flate rate fee, but we also feature a traditional menu featuring non-buffet items that allows you to order individual meals and side dishes. Our made to order menu with up to 200 items to choose from has all the traditional Chinese food you'd expect and more! We pride ourselves in making your food quickly with the freshest ingredients. As far as Asian restaurants and Chinese Buffets go, you cannot beat the fast service and inviting atmosphere that we offer! We serve various cuisines at our Asian restaurant. If you are craving delicious Chinese food or authentic sushi, there is only one place to be! We are situated in Portland, ME and serve some of the best food around. If you are planning a dinner night with your family, be sure to choose us. We prepare all our dishes using the freshest ingredients and authentic flavors. We also serve mouthwatering seafood at our Asian restaurant. We can accommodate any large party in our dining area or banquet room as well. Company functions are welcome anytime and our accommodations are plentiful. Please call ahead to reserve larger spaces during our busiest dining hours. As always, we can surely package up your order to go if you prefer to take your meal home. Super Great Wall Buffet has the service and quality you deserve. Our Chinese buffet is outstanding and, coupled with our full service bar, is practically unbeatable. If all of that isn't enough, we also offer a made-to-order Sushi bar! If you are in need of a great catering service, please contact us using the form above and we will be happy to accommodate your needs. We are one of the best Asian restaurants around, and the amount of repeat customers we receive proves that to be true! There is no better Chinese restaurant or restaurant in general that offers the variety and freshest ingredients like we do. Chinese Restaurant, Asian Restaurant, Sushi Bar, Hibachi Grill, Chinese Food, Japanese Food, American Food, Italian Food, A Delightful Hibachi Grill, Salads, Crab Legs, All Sorts Of Seafood, Chinese Buffet.